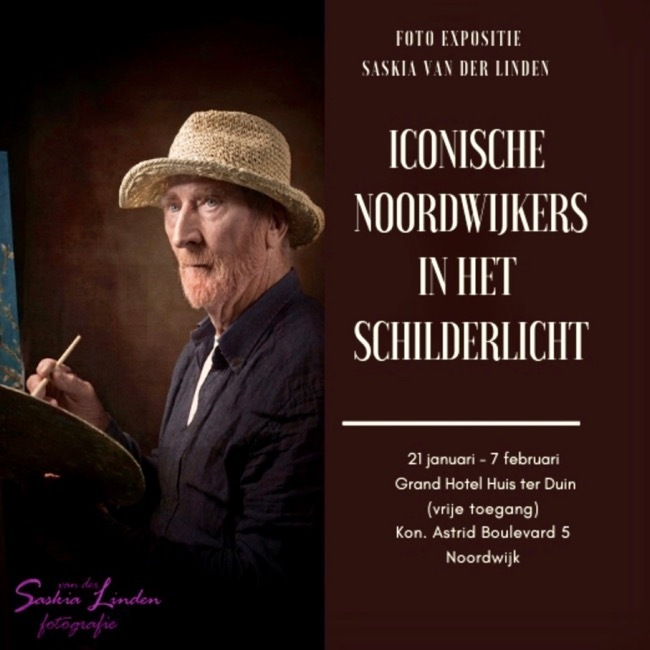 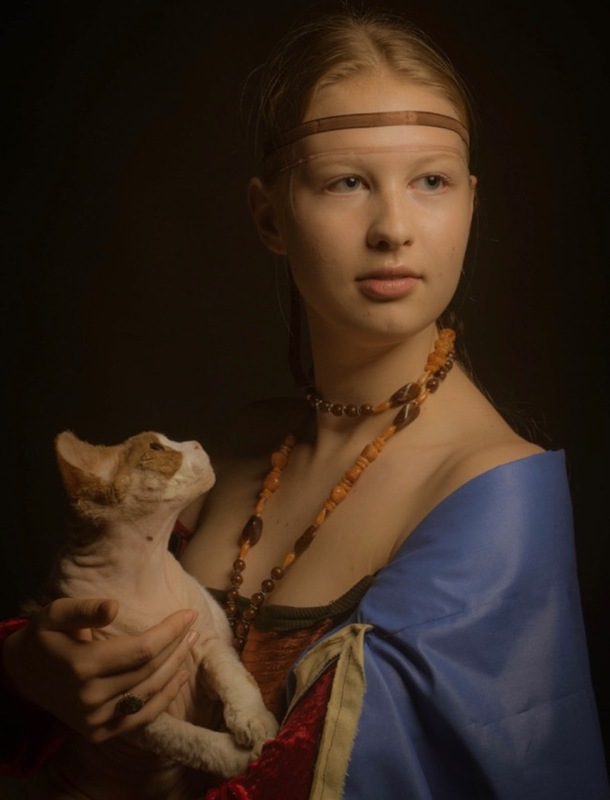 Saskia van der Linden, a local photographer, took amusing pictures of famous Noordwijker in poses from famous paintings. 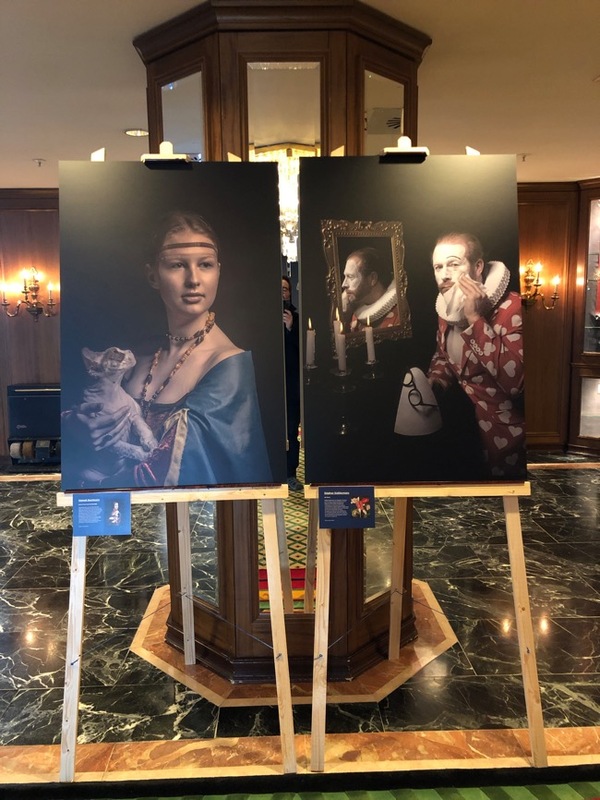 Where different arts meet. 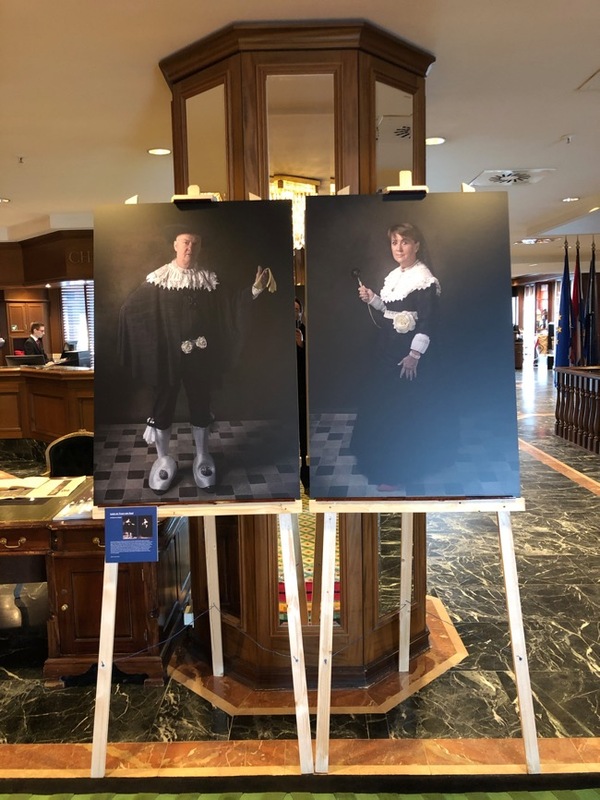 A small scale exhibit is currently held in Grand Hotel Huis Ter Duin.